Girasol strives to help Texas immigrant children and families to heal from trauma through support, education, and connection. Girasol is housed in the Texas Institute for Child and Family Wellbeing at the Steve Hicks School of Social Work and works with community partners to educate service providers and students on migration and trauma, support immigrants by providing services to women and children both during and post-detention, and connect community members with resources. Join Girasol for a Teach In. 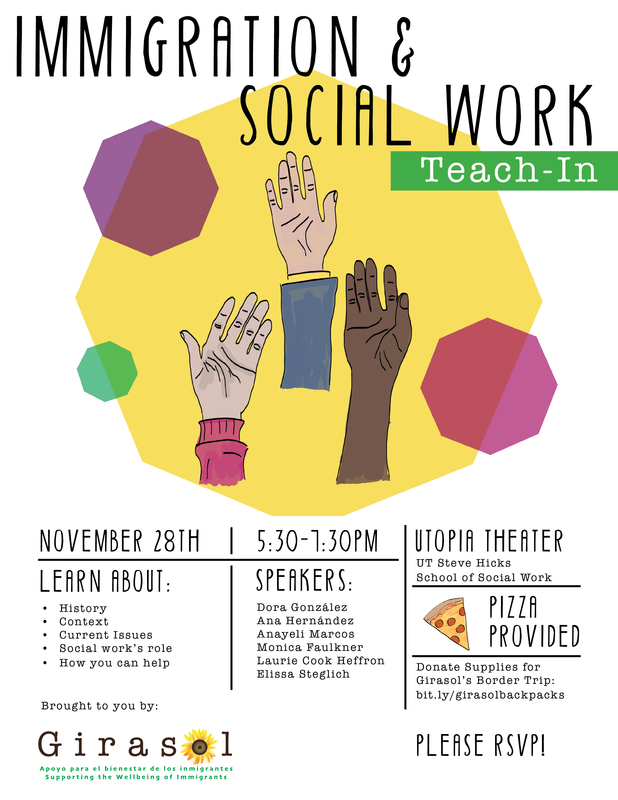 Come learn about how Social Work and Immigration connect!